Merry Christmas and A Prosperous New Year for 2019 - and a Big Thank You from Andy! Experts Exchange > Groups > Virtualization > Merry Christmas and A Prosperous New Year for 2019 - and a Big Thank You from Andy! Here's a Christmas Card to all Askers I've had the pleasure of answering EE questions this year (2018) in the VMware and Virtualisation topic areas....if you do not celebrate Christmas, then Happy Holidays! Some familiar names, and I hope your VMware and Virtualisation issues are solved, I've included the Anonymous users as well! 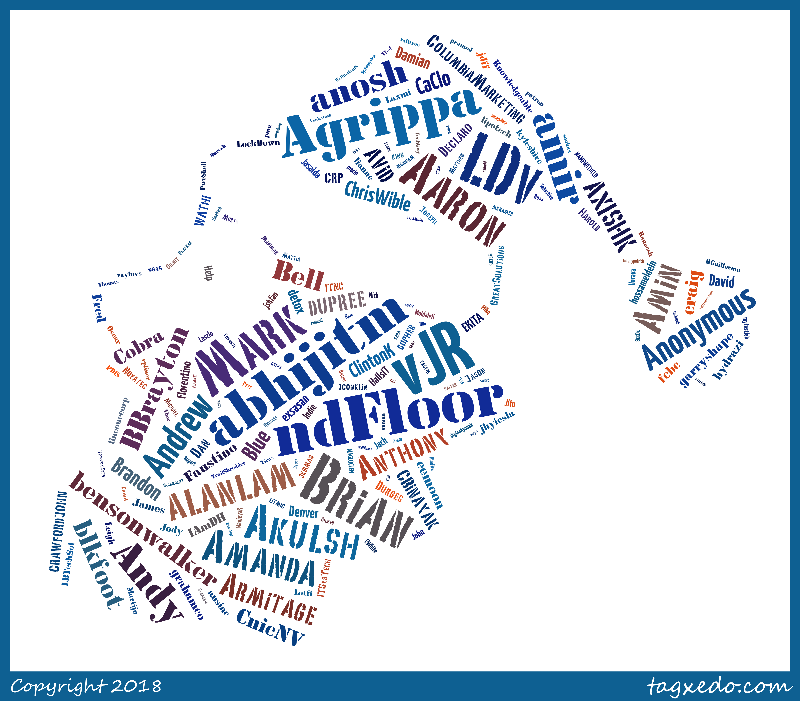 I've extracted all your "EE names" and input them into http://www.tagxedo.com/app.html - we've now developed Cloud based apps now to do this very quickly! Merry Christmas and Hope to see you in the New Year, We are now taking a little break earlier this year, and so I'll probably be away from EE. Merry Christmas and a prosperous new year Andrew..